The Russian Defense Ministry has published a video, coinciding with the day of the Russian ground troops, of the recent war games featuring the newest sophisticated weapons, including Russian military robots. "Infantry, tankmen, rocketeers, artillerists, chemical defense, military engineers… and military robots," the annotation to the video says. These robots are, apparently, far from sci-fi battle droids — they are much more effective! 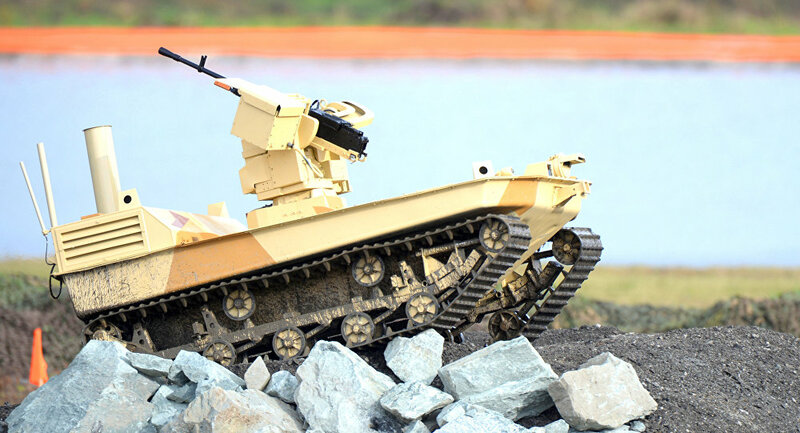 Just watch the most advanced combat robots — the Uran-9, which is a tracked unmanned combat ground vehicle (UCGV), and the Nerekhta tankette.